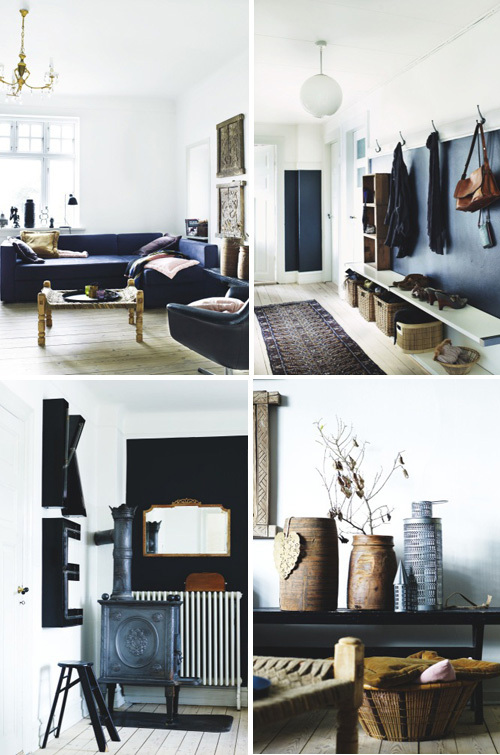 Dark grey can be found in every room of this beautiful home in Denmark. The consistent use of this color brings harmony and unity to the house. verrassend (niet alleen maar ‘wit’ scandinavisch) echt heel mooi die donkere kleuren! I love dark gray in this context. Beautiful interiors! Incredibly bold, but works so well. What an inspirational property (wonderful furniture as well!). Good interior work but capturing images is not good.